Password* Please enter a password containing 7 characters, one letter, one number. Enter the code here : Please enter Captcha code. Get our news or special offers in email? 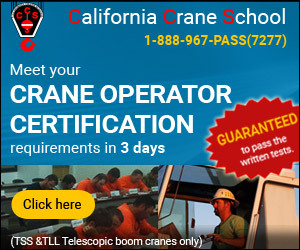 If you’re hauling a crane or oversized load in any state, you’re going to need the proper permits to do so. There are reputable heavy haul permitting companies who can help you acquire the permits, because they have special contracted relationships with the governing authorities in various states. If you’re driving anything over dimensional or overweight, it’s critical you have the proper permits required to do the trip. It doesn’t matter if you’re private, for-hire, are a special carrier, or have a pilot vehicle, you still need permits to get to your site. Find oversize load and heavy haul trucking permits providers at Cranehunter.com.